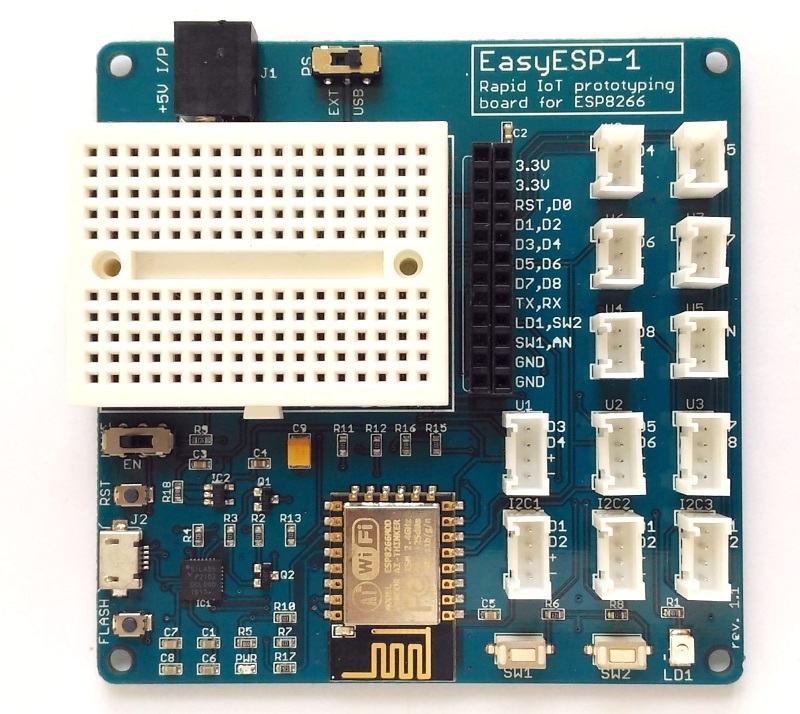 EasyESP-1 is a rapid prototyping development board for the low-cost, WiFi-enabled ESP8266 microcontroller. 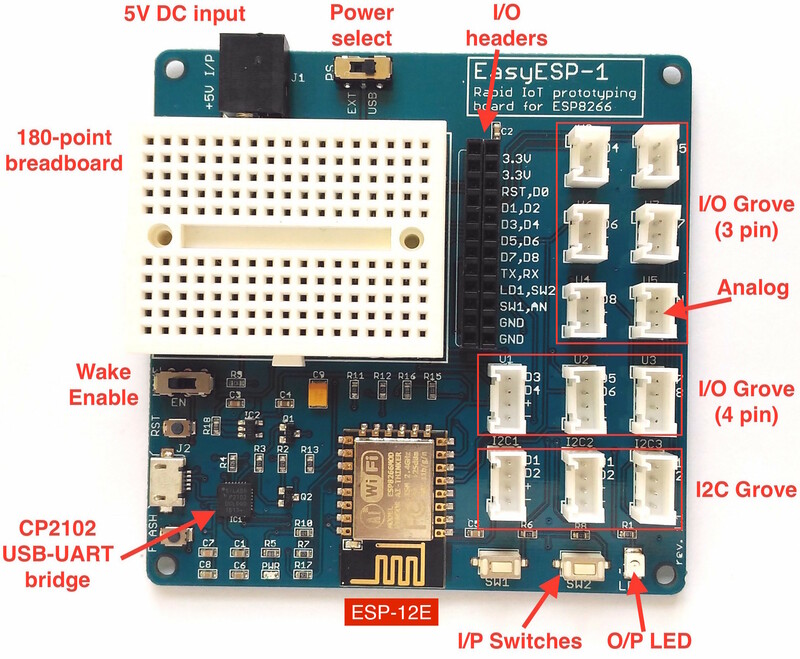 With an onboard USB-to-Serial converter pre-installed, EasyESP-1 does not require any additional hardware to download your application firmware to the ESP8266 chip. 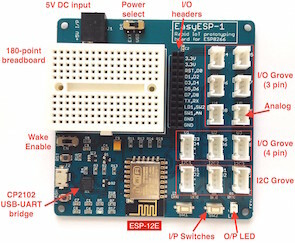 The ESP module used in this development board is ESP-12E. 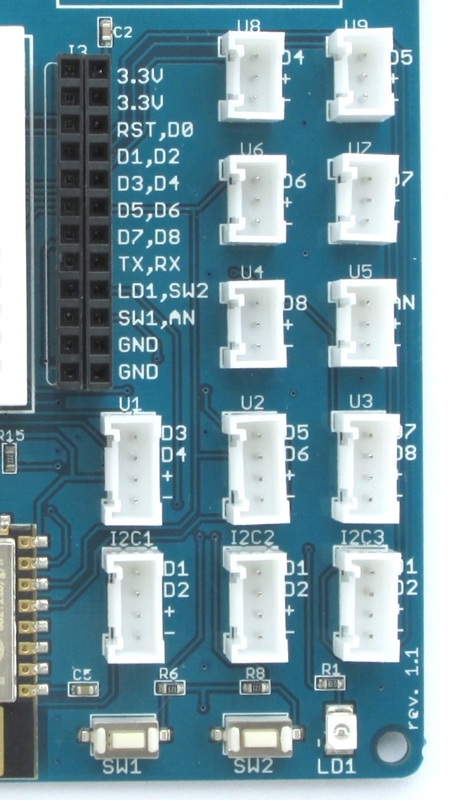 All the I/O pins are broken out to 0.1” female headers for easy access, as well as to standard Grove connectors for connecting Grove sensors and other compatible modules. 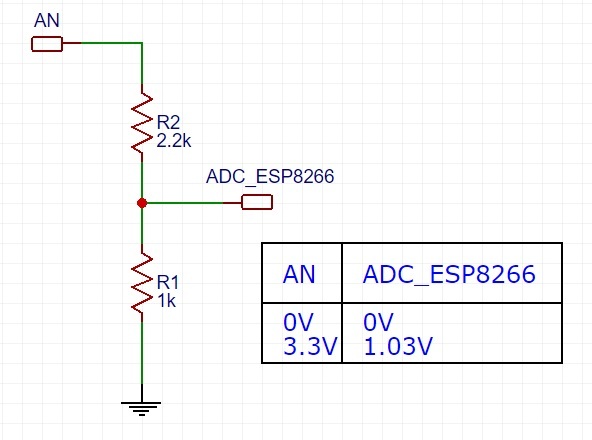 The 180-point breadboard further facilitates experimenting and testing of external circuits. You can buy EasyESP-1 from our Tindie Store. Non US buyers can also get it from Elecrow. The two user tact switches (SW1 and SW2) and one user LED (LD1) are also accessible through female headers (J3). The tact switches output are pulled up “High” during default conditions. When they are pressed, the corresponding J3 pins (SW1 and SW2) turn “Low”. Similarly, LD1 is configured as active high, which means when the LD1 pin of J3 is connected to logic “High”, the LD1 LED turns on. All ESP12E I/O pins, user tact switches and LED, and power supply pins are arranged in a 2×12 header (J3). The AN pin is also accessible through U5 grove connector. 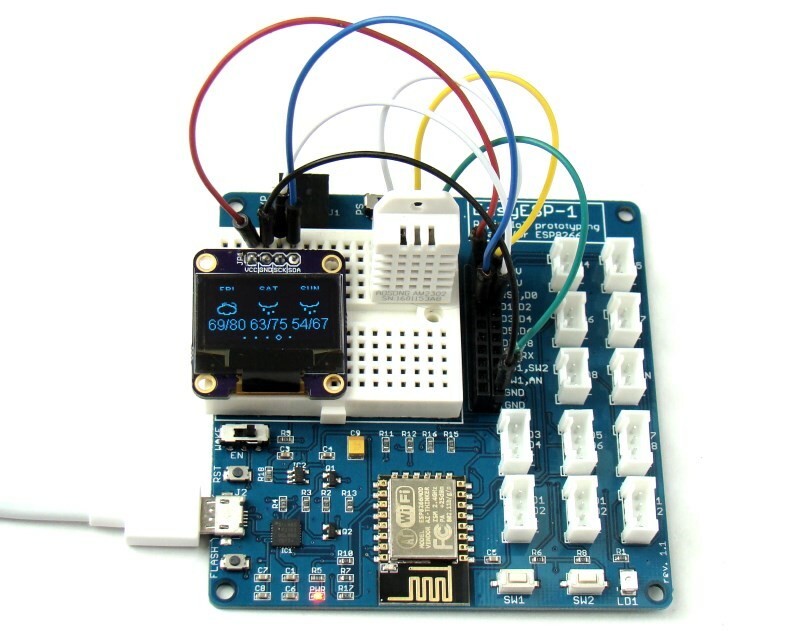 In ESP8266, I2C is implemented by bit-banging, and as such, any two I/O pins can be configured as I2C bus. 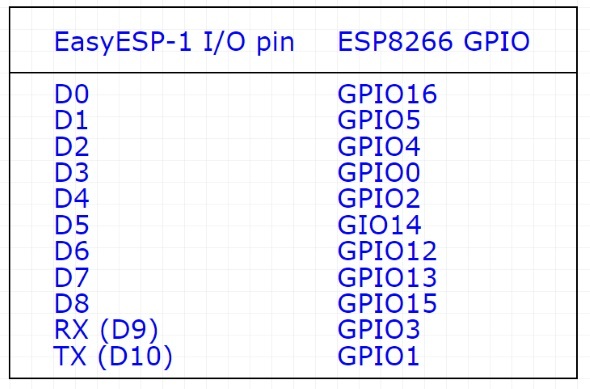 However, to make it easier for the users, the EasyESP-1 board provides three I2C grove connectors (I2C1, I2C2, and I2C3) that are hard-wired to D1 (SCK) and D2 (SDA) pins. A close-up picture of just the I/O section of EasyESP-1 is given in Fig. 4.